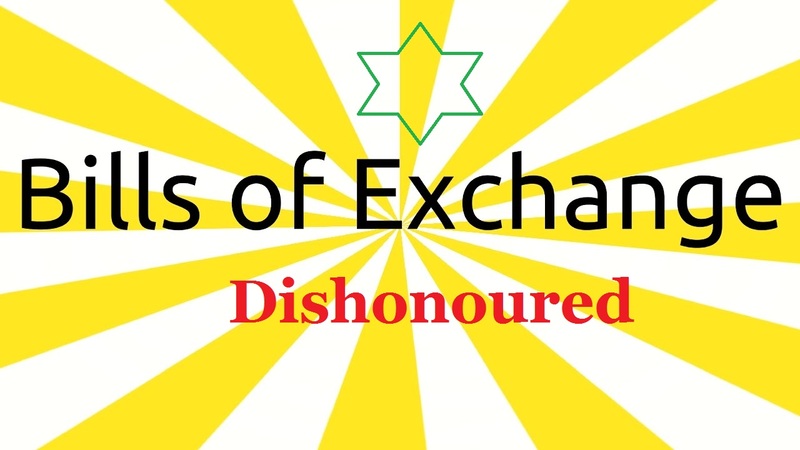 Make journal entries when a bill of exchange is dishonoured by the drawee. A bill of exchange is said to be dishonored when the drawee refuses to accept or make payment on the bill. A bill may be dishonoured by non-acceptance or non-payment. If the drawee refuses to accept the bill when it is presented before him for acceptance, it is called dishonor by non-acceptance. When a bill is dishonoured by non-acceptance, an immediate right of recourse against the drawer and endorser accrues to the holder. In this case, presentment for payment is not necessary. If the drawer has accepted the bill, but on the due date, he refuses to make payment of the bill, it is called dishonour by non-payment. In this case the holder has immediate right of recourse against each party to the bill. 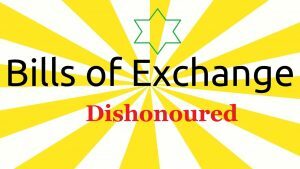 Noting Charges: When a bill of exchange is dishonoured, the holder can get such fact noted on the bill by a notary public. The advantages of noting is that the evidence of dishonoured is secured. The noting is done by recording the fact of dishonoured, the date of dishonour, the reason of dishonour, if any. For doing all this the notary public charges his fees which is called noting charges. It may be noted that in all four cases the drawer debits the acceptor’s credits that party’s account who presents the bill for payment. P draws a bill on Q for $2,000 who accepts and returns it to P on the same date. The bill is dishonoured by Q on the due date. P pays $30 as noting charges. Record the above transactions in the books of P and Q. On 1st January, 1991 P draws on Q a three months bill for $2,000 who accepts and return it to P on the same date. On 4th January P discounts it with his bank at 6% per annum. The acceptance is dishonoured in the due date, and bank pays $30 as noting charges. How these transactions should be recorded in the journal of P & Q.
P draws a bill for $2,000 on Q who accepts and returns it to P on the same date. P sent the bill to his banker for collection. On the due date the bill is dishonoured by Q. Give journal entries in the books of P.